Golf Course view from select few. 1 Bedroom on the ground floor & 5 Upstairs. Separate office & Study room. Private elevator in select few. Private Swimming poll in select few. Basement room for Multi-purpose use. Family Lounge & Pooja Room. Adani The North Park: The Extraordinary Villas! 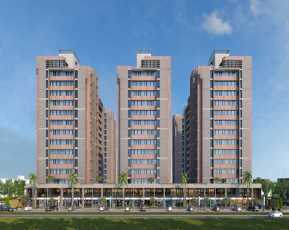 Adani Group’s latest residential project, The North Park is a finely crafted property on S G Highway Ahmedabad. It offers you spacious 4BHK, 5BHK, and 6BHK villas. 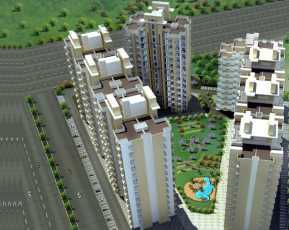 The project is well equipped with all the amenities to serve the needs of the residents. The villas are beautifully designed that is a perfect blend of elegance and simplicity. Adani The North Park comprises villas that are finely crafted in a way to create spacious, well ventilated and Vaastu compliant homes. All the safety equipment is installed to ensure safety when you live in these villas. 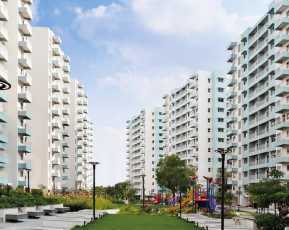 Adani Group is an Ahmedabad based company, is presently one of the largest real estate company of India. It was established in the year 1988. 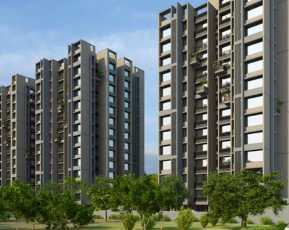 The Group is mainly involved in developing residential projects all over India. The group and the group's companies/concerns have been developing residential, commercial and other projects of over 64 lakh sq. metres in total at different locations in Ahmedabad, Mumbai, Gurgaon, Kochi,& Mundra. The 4, 5, and 6 BHK villas are available in this project. The 4 BHK villas of two different dimensions of 533 sq. ft. and 757 sq. ft and 5 BHK villas are also in two different dimensions of 885 sq. ft. and 1067 sq. ft. The 6 BHK villas of size is 1167 sq. ft. In the 4 BHK and 5 BHK villas, vitrified tiles are used in the master bedroom and the guest bedroom. Similarly, vitrified tiles are used in other areas like the kitchen, bathrooms, multipurpose room. For 6 BHK villas, imported marble and plain parquet flooring are done for the master bedroom. Used Imported Marble and decorative parquet flooring in a central panel for living and dining area. Putty finish with primer is used for the walls of all the types of villas. The housing project is equipped with various world-class amenities including gymnasium, swimming pool, kids play area, clubhouse, 9-hole golf course, multipurpose hall, rainwater harvesting, landscaped gardens, jogging track, aerobics/yoga area, basketball, tennis, badminton and volleyball court, 24-hour backup electricity and 24-hours water supply. Amphitheatre and barbeque are also here for the entertainment purpose. 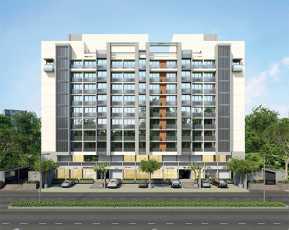 Adani The North Park is located at S G Highway. SG Highway is on the outskirts of the city which has witnessed growth over the years.The highway joins major residential areas like Prahladnagar, Ramdevnagar, Bodakdev and Vejalpur. The highway has a good connectivity with the railway station and the airport. It offers the Residents an urban lifestyle and residents also have access to the best schools located near the highway.The location is also close to many hospitals. Adani the north park offers 4 BHK, 5 BHK and 6 BHK villas. Considering Adani, The North Park price, the 4 BHK villas are of two different dimensions of 533 sq. ft. and 757 sq. ft with the price of around Rs 3.90 crores and Rs 6.90 crores respectively. The 5 BHK villa’s price starts from Rs 7 crores. The 6 BHK villa's price is around Rs 11.53 crores. These are the premium residential villas in Ahmedabad. Investing your money in a project like this will never be the wrong decision for you as it provides you with all the world class amenities. The location has a great connectivity with other places in the city. Due to the presence of leading corporate here and a good social infrastructure, investing your money in such a project will surely provide you great returns.